This Facebook trick is very funny one to try. What you will get? You will fake someone by sending Facebook message to his/her friend although the victim can never know ‘WHAT IS GOING ON’ . Well, what we need? ➤ VICTIM 1 : We will send message in name of victim 1. We need the email address of Victim 1 what he used to signup to Facebook. You will get the email address in his/her profile. ➤ VICTIM 2: Victim 2 is the friend of victim 1 who will recieve the message. So we need Facebook username of victim 2. Visit his/her profile and you will see like this http://facebook.com/username . You know if anyone send any email to this username@facebook.com then this email will be forwarded to the Message box of the particular user. Now you have the associated email address of victim 1 and facebook email of victim 2. Don’t be confused with this two. Read carefully then proceed to the next step. In the From email box write the email of Victim 1. In the To email box write the facebook email of Victim 2 i.e. 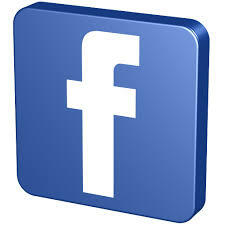 Username@facebook.com. After sending this spoofing email , it will go directly to the victim 2’s inbox. This trick is for Testing purposes only. Don’t misuse it . Please comment! Your feedback is very important to us. Your comment will lead this blog to provide your fabourite things.